What is a Halbach array? A Halbach array is a special arrangement of permanent magnets which increases the magnetic field on one side of the device while cancelling the field to near zero on the other side. It is the closest you can get to a one-pole/monopole magnet. In the diagram below, the magnetic field is enhanced on the bottom side and cancelled on the top side (a one-sided flux). Note: We have made these kits to be as simple to assemble as possible. It is much easier/stronger than gluing magnets. But assembly still requires a person with good dexterity . 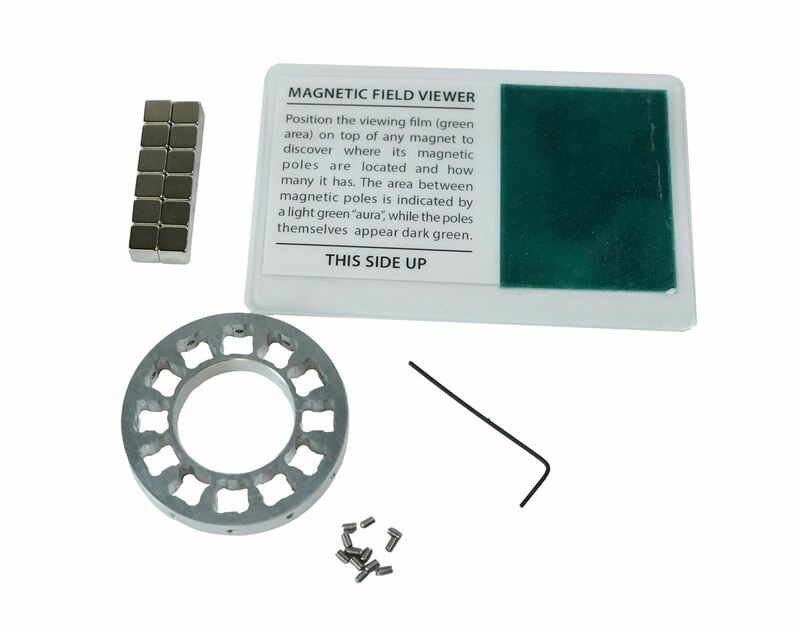 Be careful as the magnets are strong and can pinch the skin or fly away from one another.